Cost to install a backyard pond varies greatly by region (and even by zip code). Get free estimates from landscapers in your city. Cost to install a backyard pond varies greatly by region (and even by zip code). How much does it cost to install a backyard pond? 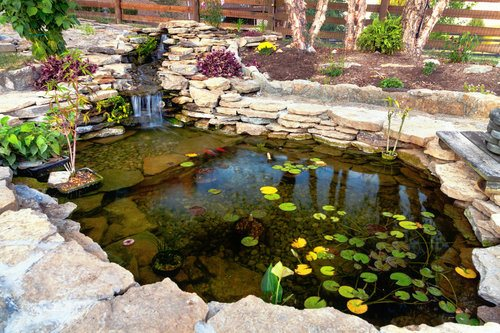 Adding a pond to your backyard can help create a peaceful oasis. It also can increase your home’s value, be a great investment, improve curb appeal, and be a beautiful and welcoming addition to your home. With a backyard pond, your house is sure to stand out from the neighbors. For this example, we’ll consider the cost of installing a standard 11’x16’ plastic rectangular pond with typical fish, a bridge and edging, which averages $7,000-$8,500. Only a rubber liner requires edging to keep it in shape, but most ponds have edging of some sort to set the pond apart and give it a clean, finished look. 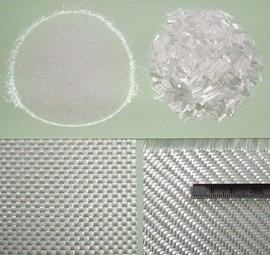 Popular edging options include bricks ($5-$6 per linear foot installed) or pavers ($2-$5 per linear foot materials; $6-$10 per linear foot installed). An average backyard pond is 3-4 feet deep. Shallow ponds (1-2 feet deep) are about 30-40% cheaper to build because they require less digging, but some fish and plants require deeper ponds to thrive. If you live in a hot climate, it will be difficult to keep a shallow pond cool in the summer, which can harm the fish. Conversely, if you live in a cold climate, a shallow pond can easily freeze during the winter months. Pond shape is also very important. A rectangular pond is the easiest to dig because it only requires straight lines and is easy to measure. Oblong ponds are easier to maintain than circular ponds because you can typically reach the entire pool from the banks instead having to get in a circular pond to maintain it. Ponds should be placed in a prominent location in your backyard so they aren’t forgotten. They also shouldn’t be placed in low-lying areas where water pools, as that can lead to flooding and water issues during installation. To find what size pump 2 you need, calculate the total volume of the pond (length x width x depth x 7.48) and how far the pump 2 must push the water. It is recommended to cycle the pond’s water once every two hours. Pumps 2 are measured by GPH (gallons per hour), so you can divide the pond’s volume in half to find the required pump 2 strength. For example, our 11’x16’ pond requires a pump 2 with about 2000 GPH. The cost of adding a waterfall varies widely based on the size and structure, but the average cost is $1,200-$1,800. Waterfalls can be installed on your own or by a professional. Although it is easiest to install a waterfall when the pond is first installed, it is possible to add a waterfall at a later date. To install a waterfall, you’ll need flexible pond liner and an area of the pond that can be built up with dirt or rocks to give the waterfall height. Waterfalls require waterfall pumps 2, which depend on the size and flow of your waterfall. For best results, choose a pump 2 with a flow rate of at least 300 gallons per hour and a lift of six feet. 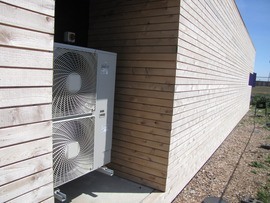 The pump 2 will need to be run to an electric outlet with low-grade wiring. With tubing attached to the pump 2 that pulls in water from the pond and circulates it through the waterfall, you are good to go. A five-foot bridge for the pond averages $140-$200. Adding landscaping to the rest of the backyard also varies based on size and features, but average landscaping for a 1200 square foot yard costs $13,200. On average, adding outdoor lighting costs $3,800 for 20 fixtures of varying styles and powers around the yard. Adding a stepping stone pathway costs between $12-$25 per large stone, which are typically placed 6-12 inches apart. Adding a pond heater can help regulate the temperature, which can be important in cold climates or if you have more temperature fish (like koi 3). A standard heater averages $45-$65. Larger ponds tend to be better for fish because it gives them more space to move and grow and allows the water to circulate better, which leads to less stagnant water and fewer contaminants. In some cases, you may need a permit to construct a backyard pond. If you live in an HOA-controlled neighborhood, you may also need to get permission from the board. Talk to your landscaper for specific details about your area. Aside from installation costs, ponds also have maintenance costs. 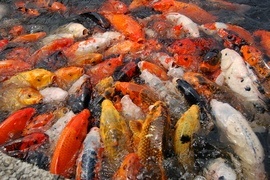 Monthly upkeep averages $20-$40 depending on the size of the pond and the type of fish and plants it holds. Professional services are available for $75-$150 per visit, which typically happens once a month or every other month. When planning a pond, consider the safety of your family and neighbors. If there are children in your home, a deeper pond probably isn’t the safest option. How much does it cost to install a backyard pond in my city? Cost to install a backyard pond varies greatly by region (and even by zip code). To get free estimates from local contractors, please indicate yours. Cost Considerations: Price wise, at $7 to $10, cattails are similar in price to irises, which is another common pond plant suitable for shallow water.